Just a note to say I haven't been sucked into a black hole. I'm visiting (and admiring) my gorgeous brand new nephew! Actually, I've finished visiting him and moved on to my sister-in-law who kindly looked after my kids while I helped out with the new babe. I'll be back home and posting again soon. 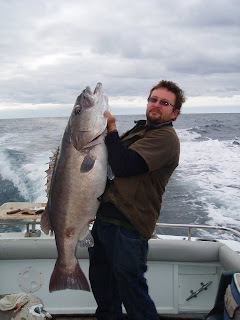 Random shot, just to boast about what I'm having for dinner! When I'm making a quilt, I can get stuck. Because I don't tend to use patterns, and sometimes I don't even have the idea of the finished quilt in my mind when I start, the designing takes place on the hoof. This has big pros and big cons. Biggest pro: When it's finished, it is truly my quilt. Biggest con: The design process can stump me to the point where I put the whole thing away in disgust. Big, overwhelming pile of WIPs. But I've been finding some tricks and tips to help me see a project right through from start to finish. 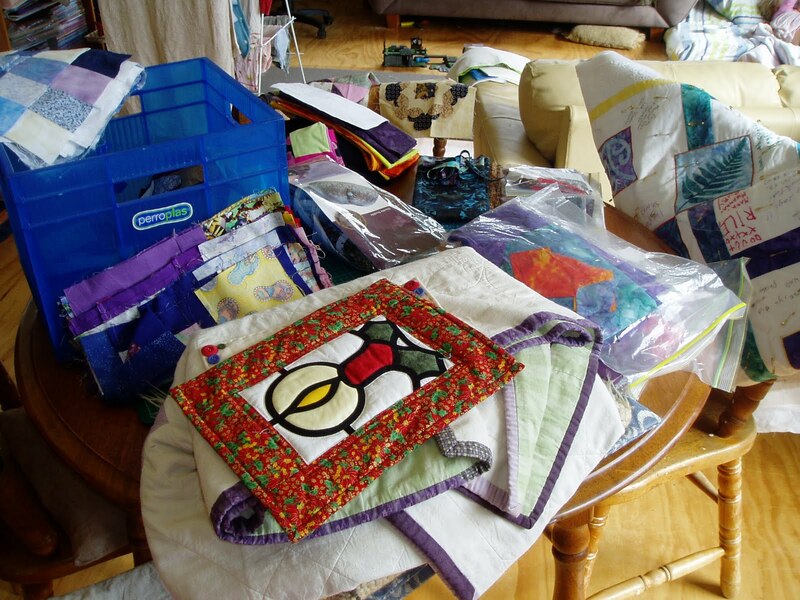 The most important one is dedicated quilting time. And I'm not that great at self-discipline so dedicated quilting time that I spend with another quilter is the best for me. I've started spending two hours a week with another guild member. She has enough room for me to set up my machine, so I always plan to use this two hours as dedicated sewing time. I also spend an one evening a week at another quilting friend's place. I can use her machine if I need to but I tend to spend most of this time discussing our respective projects, getting honest feedback and inspiration. And then I'll squeeze in a little pressing, or thread tying in or drawing. What we've recently started doing at our evening sessions is a list of what we are each going to work on before our next meeting. For me it provides a prompt when I'm wondering what to do next and it also keeps me a little more accountable to myself. Another trick I've been using when I'm stuck on a project is to just make myself pick it up and lay it out and take one more step. Just one. 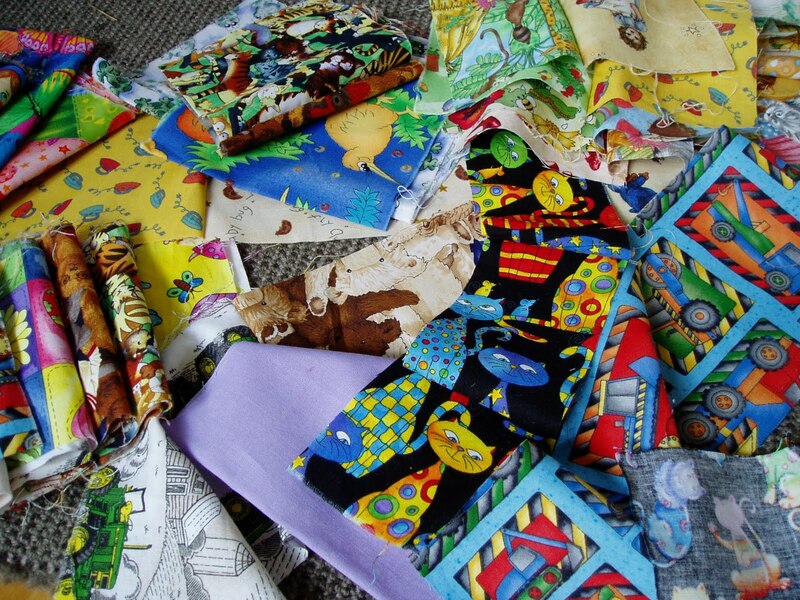 Whether that be sewing one more seam, making one more block, or laying out some fabrics to choose from. If I can make myself do one more step, then I often find myself racing off again, inspired and stimulated to continue. 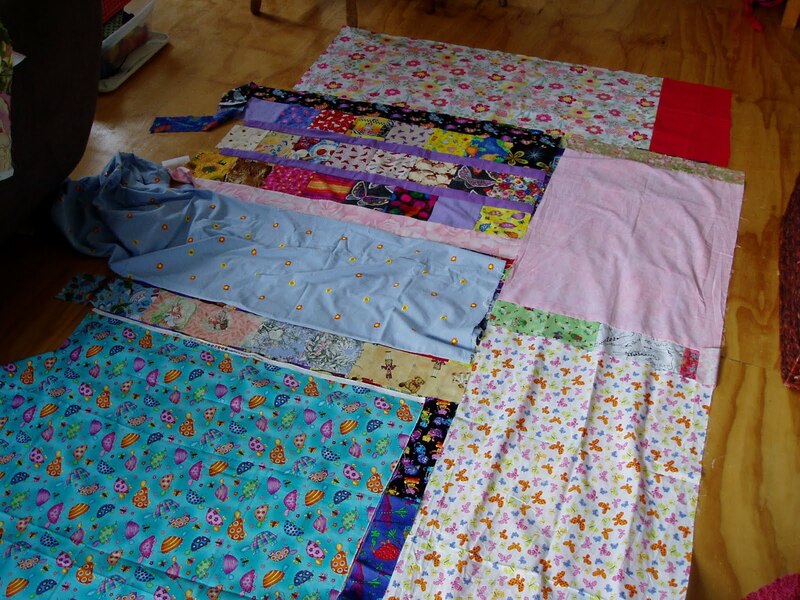 For example, I've been making an 'I Spy' quilt for my daughter. Nothing too tricky about that. Except I decided to piece the backing out of offcuts of the novelty fabrics I had used. But when I started sewing them together in strips it just wasn't working. See? Too many colours, too many patterns, too much going on. So I packed it all up and haven't touched it for a couple of months. But it was on my weekly list to do 'something' towards finishing that quilt. Today I pulled it out, lay it down, changed some of the novelty fabrics for plainer fabrics and divided some busy areas with plain strips - suddenly it was all working and by the afternoon I'd finished piecing the whole back! So what tricks do you use when you're uninspired by your current project? 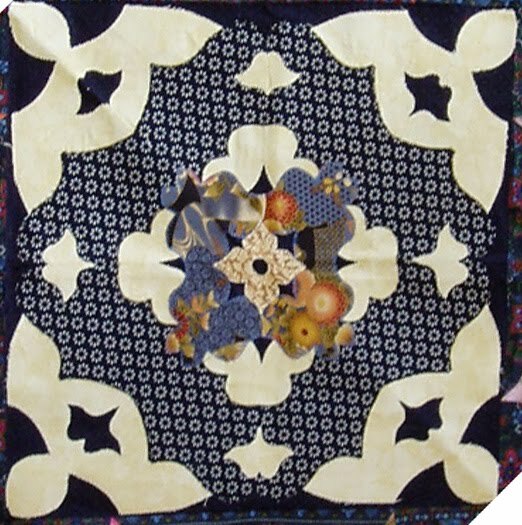 This post is particularly for Tanya who asked me a question about the quilting process of a quilt. Quilting and me is a bit like chickens and me, I could go on and on for ages, so bear with me! 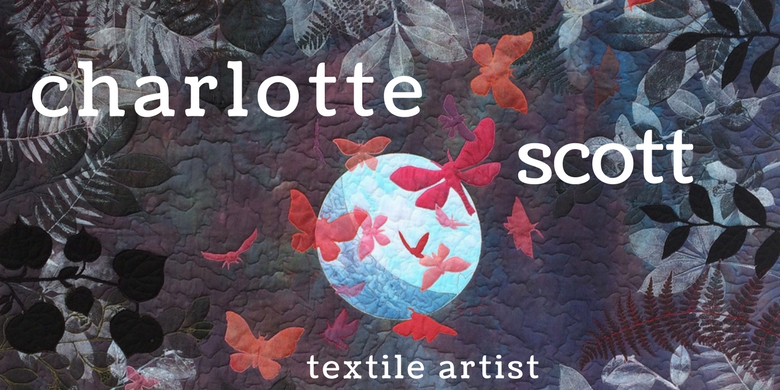 I've never sent a quilt off to be professionally quilted yet as I enjoy the quilting bit and believe it's part of the whole process (plus I don’t like paying!). 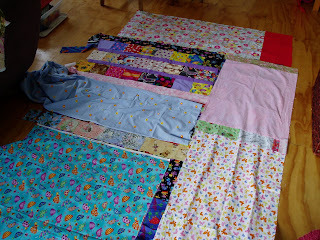 But I'll never say never and if you have a huge king size quilt then hauling that through your sewing machine can be hard work. I just use my normal sewing machine. For this one I free-motioned stitched (drop my feed dogs, use my embroidery foot and move my quilt to 'draw') the star in the centre and just kept echoing it. Then I free-motioned the seashell kind of filler around it. I did mark some of the star lines as they got bigger to attempt to keep them straight, but I don't mark fillers, they are all free hand. For the seashell filler I start at an edge and stitch an oval shape, then I bounce back around that shape, finishing where I first started. 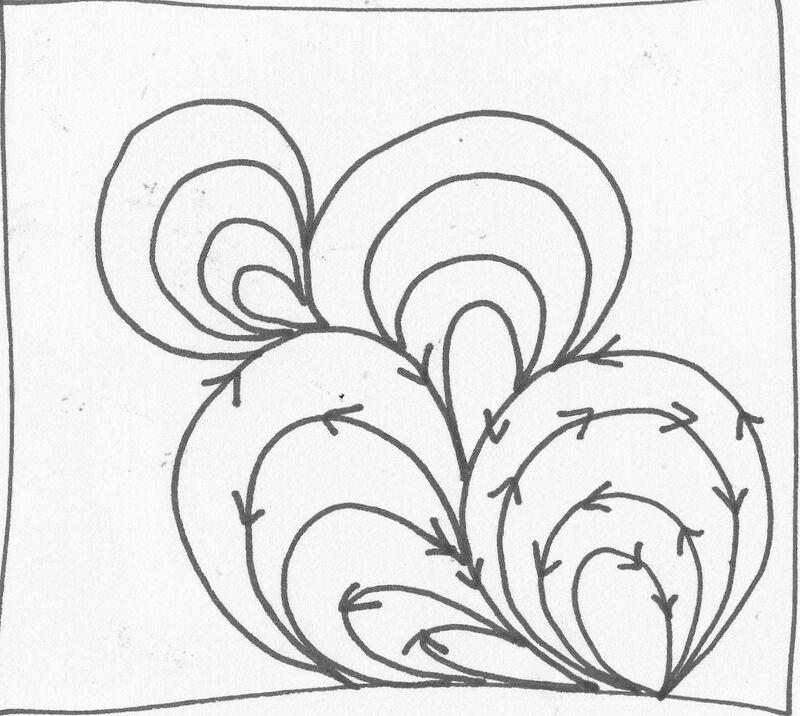 Then I bounce around and around that shape and then I start a new shape from where I finished the old one. 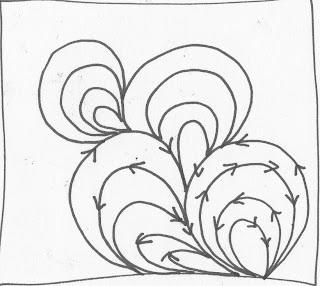 This picture is the pattern drawn in pen with the first two shapes having directional arrows on them to show you how I stitched them. I started in the bottom right corner. It’s easier to see it done than look at pictures and if you have a look at Leah Day’s blog, you can see videos of her stitching her filler patterns. I’m sure she probably has one very similar to the one I’ve used but I originally started using this pattern after reading one of Robbi-Joy Eklow’s books. 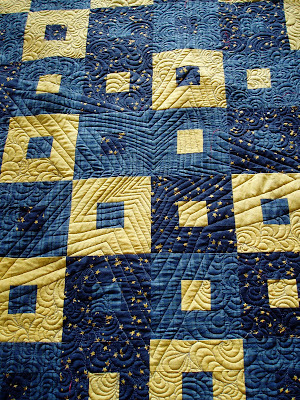 And be careful if you do start making quilts, it’s very, very addictive! After 400 metres of thread, I am beginning to think I am over-quilting this quilt. However, I only have about 100 metres left to go around the edges. And then I can start on this one. Methinks a flower in the centre with a geometric filler around it. Making the most of the good weather. When you employ someone, (especially if they are your hard-working neighbour who knows a thing or two about building), things get done. 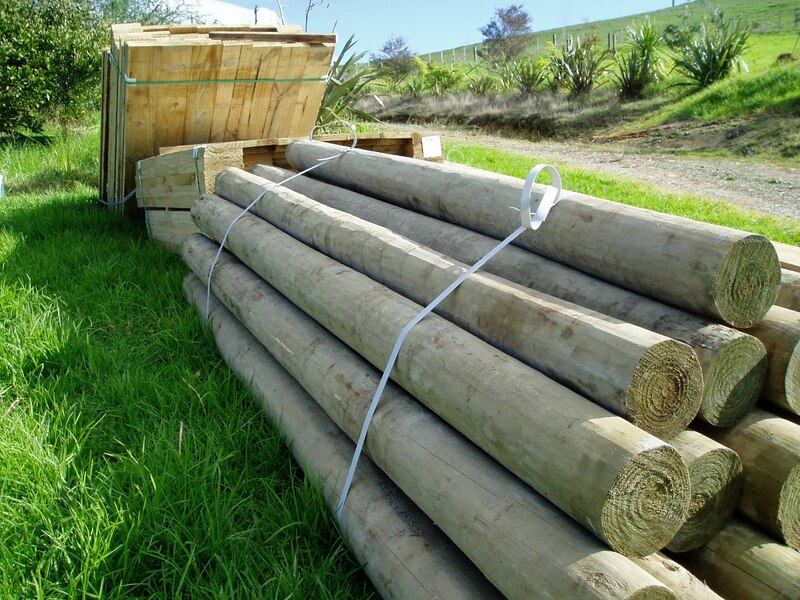 From a stack of timber to a fully fenced and gated dam in a week. Wow. 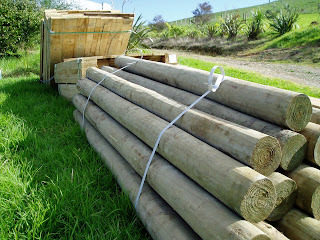 Hubby has spent the day fencing the top paddock, using the dam fence as the starting point. He's now lying on the couch groaning about how much he aches! I've been chopping and stump-swabbing gorse, planting trees, cleaning out rabbit hutches and feeding the bottomless stomachs of my children. 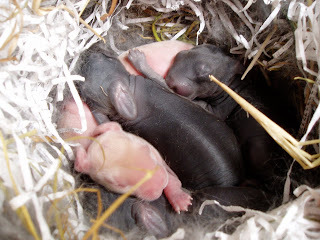 And admiring the baby bunnies. Amazing how fast they are growing. Not even a week old and they are furring up and have the fattest tummies. Fluffy is obviously feeding them well. She's also uber-protective. 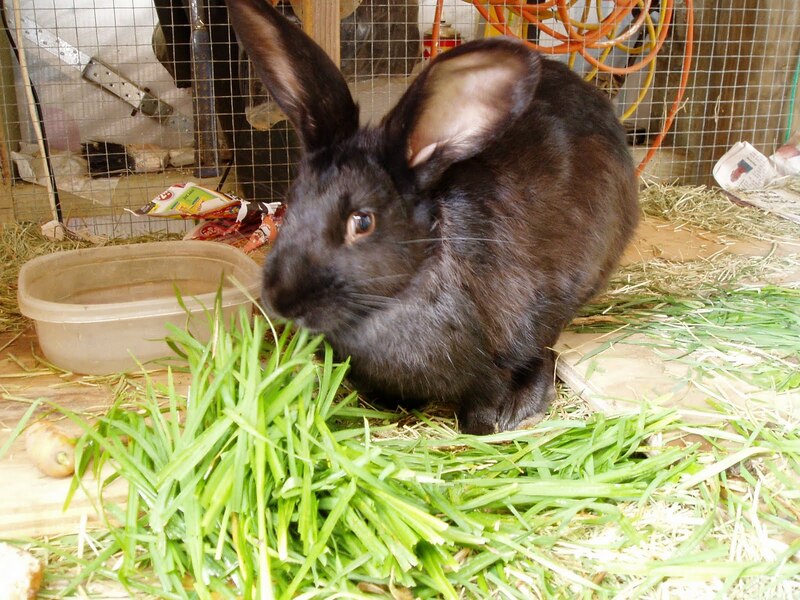 Ever heard a rabbit growl? Well, they do. They also bite! Bunny babies at Windyhill Farm. I would have updated you earlier but my internet access packed up yesterday. Five little baby rabbits have joined the fray at Windyhill. Mama is black, Papa is fawn. 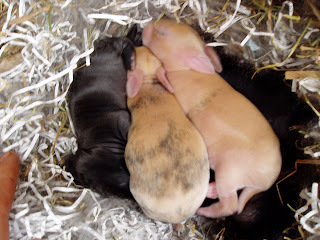 And so we have three little black ones, one pink one (who will probably end up fawn) and one splotched black and pink (we'll have to wait and see). They are all a decent size and, for a first time Mum, five is a good effort. Hopefully she'll cope well with a smaller number and they'll all get fed. And if you've got a moment, check out Little Grubs. She has a bunting giveaway on her blog. Yay! I love bunting, but have just never quite got around to making any. 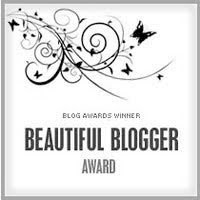 Beautiful Blogger Award and a little bit of useless info. Abi at Little Grubs was kind enough to award me a blog award. You're supposed to nominate other blogs and tell everyone ten things about yourself. I've done one of these before so I had to look back and see what I've already divulged about myself so I could share something else. But then I had a real time thinking of things. So I asked my husband. The first thing he said was,"That you're a mad, crazy, chicken lady." (I'm sure he loves he, really.) I said that everyone knows that already. Then he said,"You're totally obsessed with quilting." Come on - give me something nobody knows! Then we got silly. He reckons he's better at making gravy than me. He's probably right. We never really had roasts when I grew up and so I can't ever remember learning how to make gravy. But I'm getting better at it. Here's one we came up with: I proposed to my Hubby on a leap year. (And he said yes!). I bite my nails and am totally unaware that I'm doing it. As I go about my day, I often wonder how I would have done what I'm doing back in colonial times. My first full time job when I left school was at the first Spotlight store to have opened in Wellington - but I worked in the Manchester department. Maybe if I'd worked in Fabrics, I'd still be there? Instead I hated it and left go to 'Tech to get some qualifications. Looking at my fabric stash, I'd have a guess that my favourite colours are blue and pink. And the last one that my Hubby came up with. He thinks it's totally ironic that I'm a midwife and that I don't do tiredness very well. (I told him I do tiredness just fine when I'm in public!). I love this pic. My son took it in May on a morning walk (yes, early enough to be still in their jammies). My daughter is complaining that it's bright and I love that the shadow of my son is in the pic too. MaeheGirl - always lovely photos and a talented knitter. Cabbage Tree Farm - a local bloggy find for me. QuiltPorn - told you I was mad about quilting! 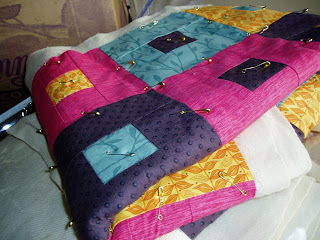 soggy bottom flats quilting and stitching - gotta love a blog with a name like that. 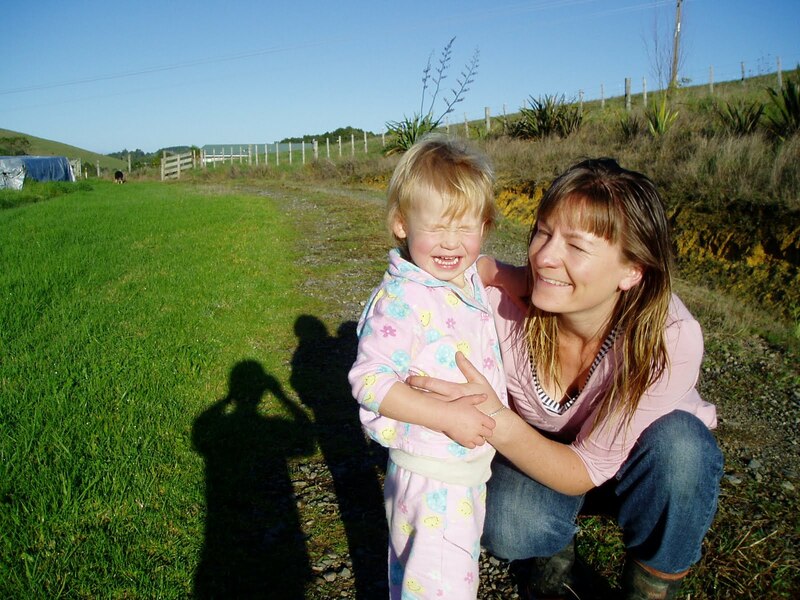 Our Wee Farm - very lovely pictures and a great sense of style. Apron Strings - beautifully honest about life. So if it's rainy and miserable at your place like it is at mine, and you have some spare time, check them out. Once the waterhole is fenced, I can plant all around it. 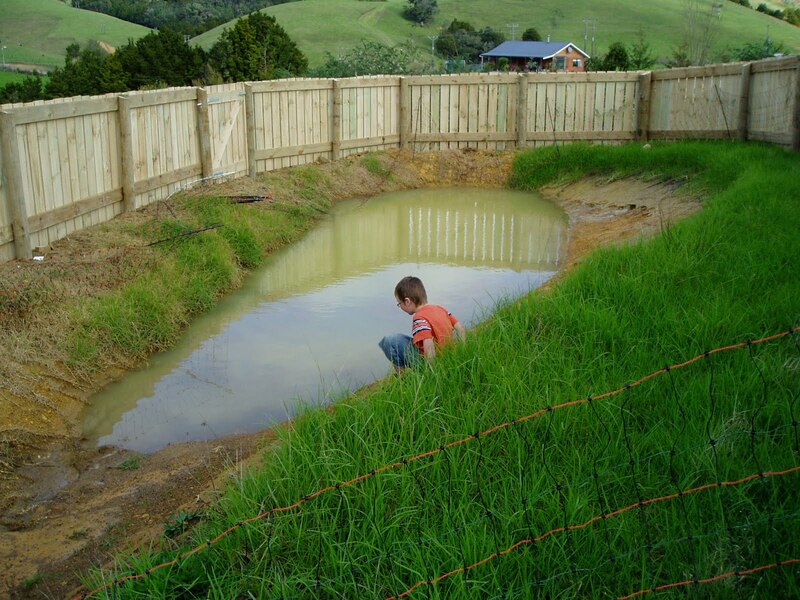 Once the waterhole is fenced, I Hubby can build a duckpen using the fence as one side. 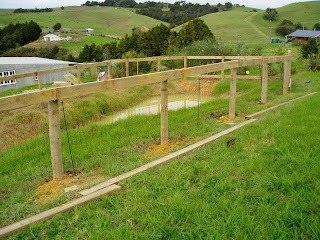 Once the waterhole is fenced, we can continue from it and fence the top paddock. 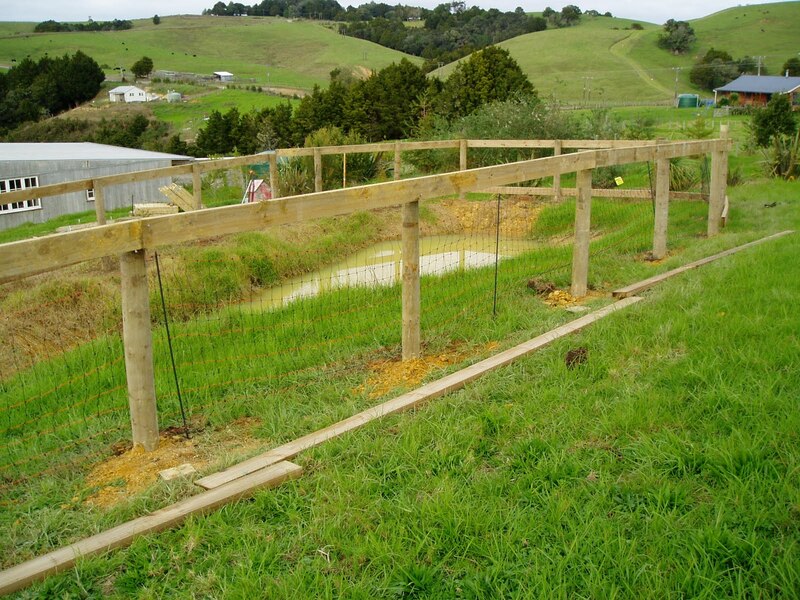 Once the waterhole is fenced, I can use the electranet for it's original purpose - a movable run for the chickens. Once the chickens are in their movable run and houses, we can demolish their current house, affectionately known as 'the abomination'. Once the chickens are in their movable run and houses, I can plant WHEREVER I like and not have the cheeky sods dig it all out/eat it. Look at him! 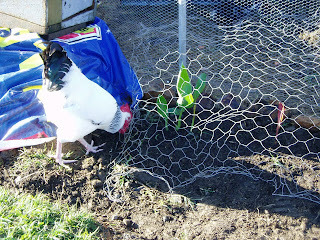 Sneaking under my chook deterrent wire netting! Grrrrrr! And here is one of my rabbits. She looks very relaxed doesn't she. She shouldn't!! She's meant to have had babies today. Ah well, maybe I'll get up in the morning and be pleasantly surprised. This is sort of an 'epic' work in progress. More than a year ago (I know that because I remember making the centre when I was in our old house), my sister and I decided to do a swap/challenge kind of thingey. She lives in Australia and I don't get to see her all that much so it seemed like a nice way to keep connected. And she quilts too of course! 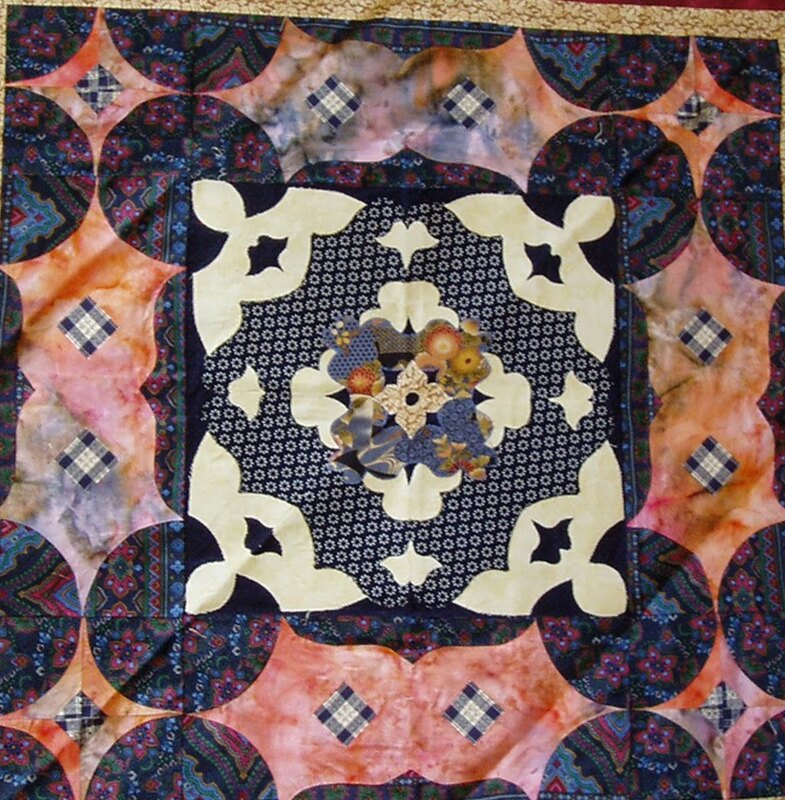 We both started off making a centre medallion however we liked, using whatever techniques appealed at the time. Then we sent our medallion to the other person to put the next border on. Once that border is done, we swap again for the next border. And we take turns at picking a theme for each border too. Apologies for my cropping efforts! So this is the centre medallion that I made. It's done using a papercut method of folding the fabric then cutting it so the designs are symmetrical. Then I heat bonded the shapes down and machine appliqued them down. The next theme was 'curves' and this is what my sister sent me back. Fun to see what you get back - totally different from anything I would have done and so it makes you really think for the next border. The next theme was 'traditional' - pretty broad. To be honest it stumped me for a while. Then rummaging through my projects a month or so ago, I pulled it out and was hit by instant inspiration (love those moments). I decided to turn it on point and add setting triangles as the next border. I added a slim brown border first, then drew a design for the triangles and blocks out on brown paper to get my measurements. 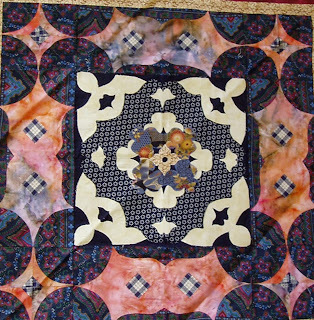 Then I searched for traditional blocks at Marcia Hohn's Quilter's Cache that would fit a five grid, as my blocks needed to be 10 inches finished. This block was called Broken Dishes Variation and I love how it's turned out. Now I'm debating as to whether I put another slim border on it before sending it off. What do you think? Thank you everyone for the kind words about my Father in Law. He has had some good news yesterday, but will have to have more tests and some surgery. But for now we can breathe a little easier. The rain is lashing down here, absolutely pouring. It always makes me a bit nervous when it rains like this. 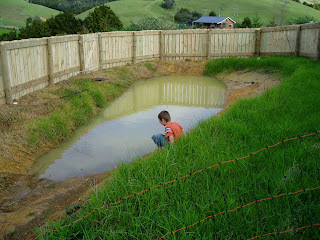 In April 2007, Northland suffered terrible floods. It had rained and rained, but I went out to Playgroup anyway. I shouldn't have because I ended up hiking home, with my son and husband, through the wet and slippery bush, five months pregnant with my second child. The roads washed out, slips came down and we were marooned at home without power for three days. But at least we were at home, some people couldn't get home that first night. When you got to the end of our road, you turned onto State Highway 11. This was heading south. I don't think my family ever saw these photos so I'm posting them now. Lets hope the rains stops soon (ungrateful wench that I am, I've been moaning about the drought, now I'm moaning about the rain!). This was State Highway 11 heading North. We couldn't get through either direction. My waterhole is almost completely full. The driveway is like a little river and we have a creek in the cow paddock where there wasn't one before. The ducks, however, are in heaven! 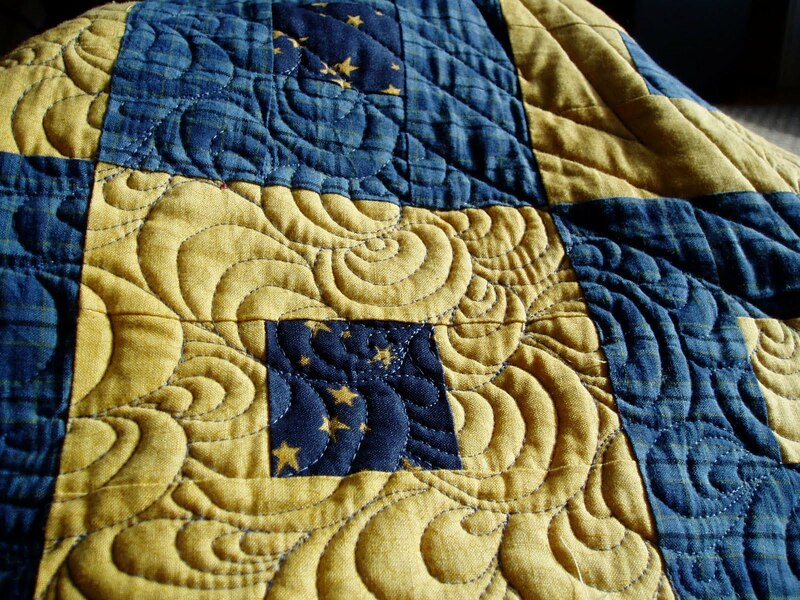 (And it's perfect weather for staying inside and quilting till my heart's content).